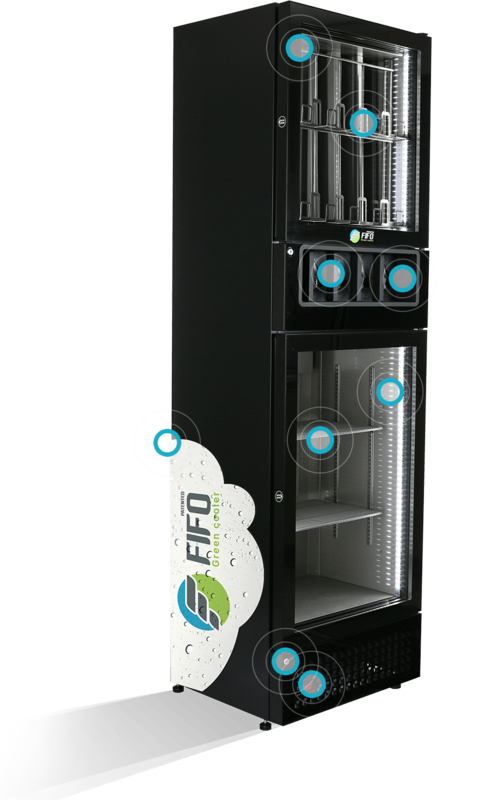 FIFO Green Cooler : Self-service bottle cooler ! Any question ? Other requirements ? 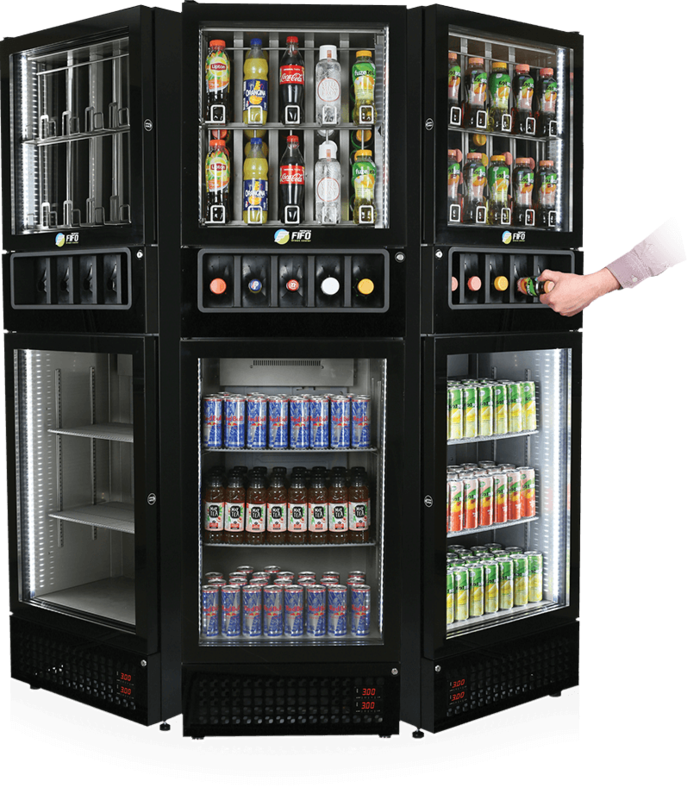 The FIFO Green Cooler fully meets the new European Directive applicable in 2020 requiring the closure of the refrigerated storage and display units. 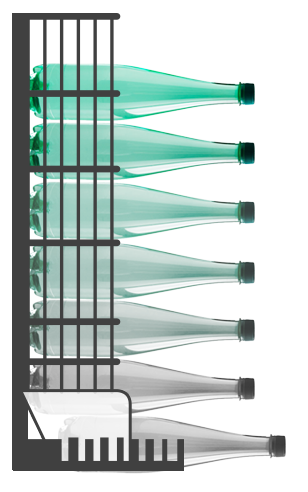 The only cooler adaptable to receive a specific bottle shape, thus avoiding the cannibalization of the cooler by competing brands. Bottle access without unnecessary door opening. 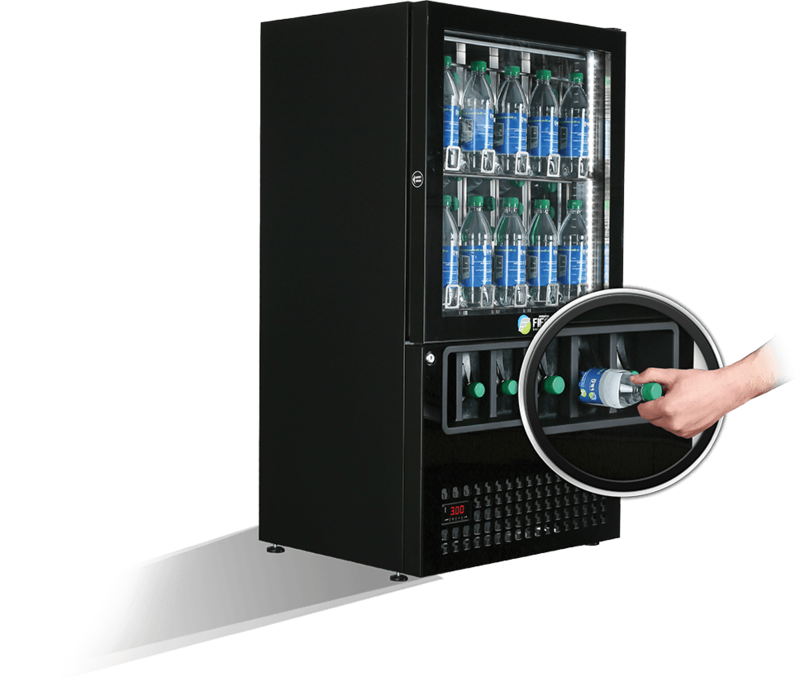 The FIFO Green Cooler concept encourages quick self-service. Several people can take a bottle simultaneously. By avoiding cold loss and condensation water due to door openings, you can save 70% energy. Comfortable management of products in FIFO (First In - First Out) mode. 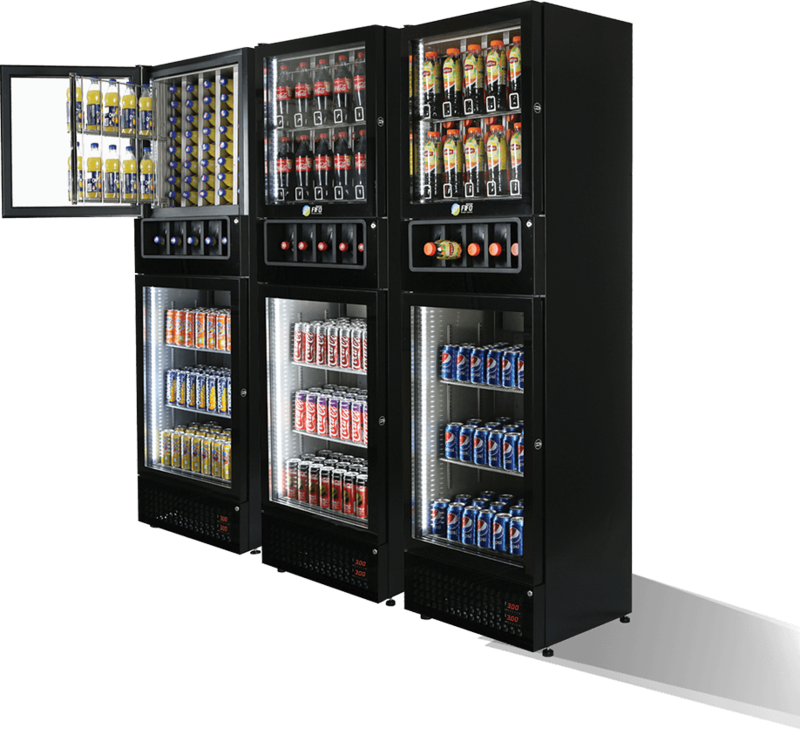 This guarantees that the coldest products with the shortest expiry date are consumed first. The technical solution? Mainly Gravity!